It is difficult to talk about the CAES team without first boasting about them. Throughout many employment endeavours, I have been fortunate enough to have worked with many memorable individuals: some inspirational, some passionate, driven, intelligent, eclectic, witty, some with incredible work ethic and others masterful life jugglers. Admirable in general, but never have I worked with all such individuals as part of a single team…until CAES. The team at CAES is like none other and collectively, they possess all of these qualities and more! We support each other through challenges both inside and outside of work, we help each other to laugh a little more, and encourage each other to make sure that we are taking care of ourselves. 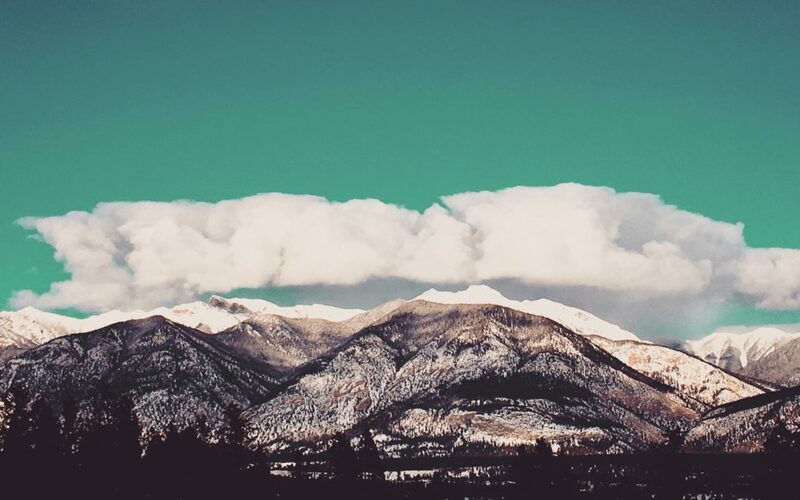 And, lucky us, we are also lead by someone who considers it a yearly must to press pause, get out of the city together, and head somewhere beautiful to collectively address program successes and concerns, step away from some of our stressors, and of course, eat. 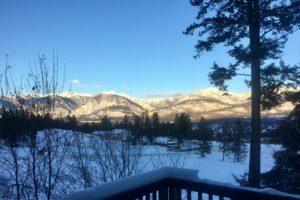 This year Invermere was determined to be the destination, and a 14-person cabin was to be our home-away-from-home for 3 days. 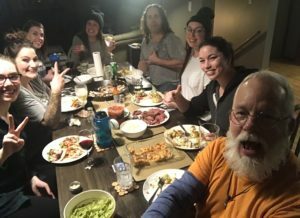 With an impressive amount of food, a strategic agenda and our comfiest (and stretchiest) clothing packed, we arrived at our shared accommodation, situated on the North side of Lake Windermere, with most of the living quarters featuring windows looking out at the beautiful Kootenay Mountains! In the moments that weren’t allotted to strategic planning, we participated in a variety of activities. 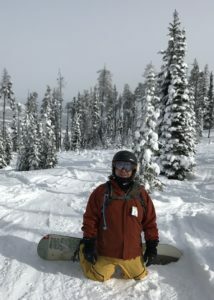 Some of us snowboarded, some relaxed, read books, participated in great conversations about our passions and each other in general. 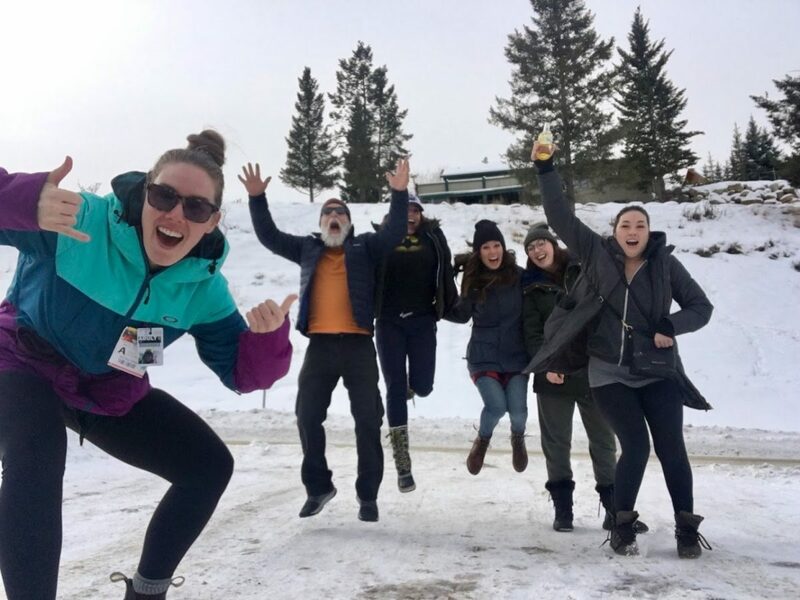 Some explored the town of Invermere, and others really tried for that perfect group jump shot. At the end of the days, all of us enjoyed laughing until we cried playing Cards Against Humanity and eating more than we probably should have together! At the end of our three days together, we packed up and returned home feeling refreshed, a little closer as a team and ready to step back into our realities and tackle a fantastic 2018 of service delivery. Another successful CAES team retreat for the books! Since receiving my BA Degree in Psychology from Mount Royal University, I have worked with a number of different mental health organizations throughout the city. For the past 5 years, I have had the privilege of being a part of the Calgary Alternative Supportive Services team, first as part of the Day Options Program and now with the Employment Program. As Calgary has been my home for over 15 years, I am passionate about the city’s artistic talent, cultural richness, its eclectic individuals, and giving back to the community in any way I can.